Freshlyground is an Afro-fusion band who found their feet in 2002, when they played their first "big gig" at Kirstenbosch Botanical Gardens. They launched their first album in 2003 - their success is evidenced by the fact that they were invited to play at the opening of Parliament in 2004, when South Africa celebrated 10 years of democracy. With both black and white band members originating from South Africa, Zimbabwe and Mozambique, I guess that it's fair to say that Freshlyground is a Smarties box of cultures. 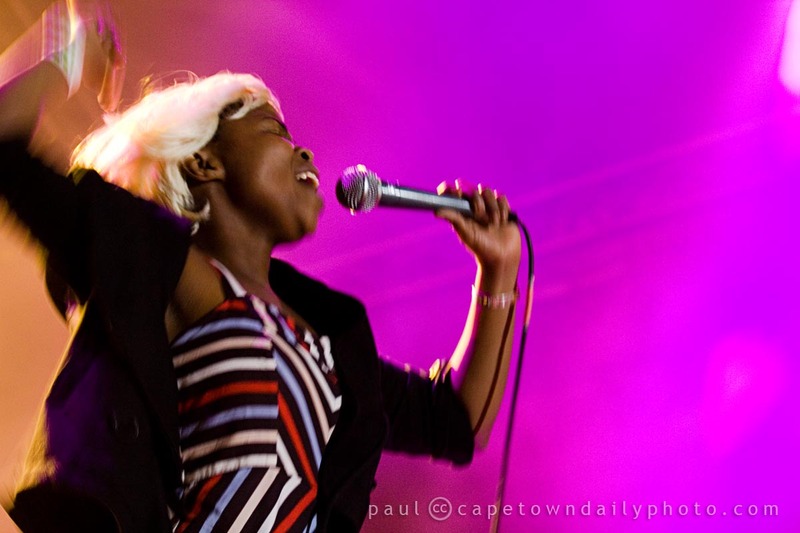 Kerry-Anne is a super-huge fan of the band and was stoked to have seen them live at the cosy Zula Bar in Cape Town before they got really big. We were about 3 metres from the stage (which was more of an elevated platform, really), and the band members were incredibly interactive during the set. Today they have a huge following both locally and internationally, and (if you hadn't yet guessed) I managed to get up close for a few photos at Rocking the Daisies. Click through to our Freshlyground album, and if you have a moment more to spare check out the other RTD photo albums. Posted in Events and tagged concert, music on Sunday, 11 October, 2009 by Paul. We ran into the lead singer of Freshlyground at Neighbourhood in Long Street once. She’s an absolute doll. My friend asked her a few questions about the lyrics of one of her songs and she was more than happy to answer us. Hope they’ll be playing at Kirstenbosch this year. sick! freshly ground rock! you seen this?